Yesterday, voice actor Sugita Tomokazu met with his relative’s kids. He showed them his Sakata Gintoki (Gintama) voice and they told him that he didn’t sound like him at all. Sugita later tweeted to fellow voice actor Uesaka Sumire. 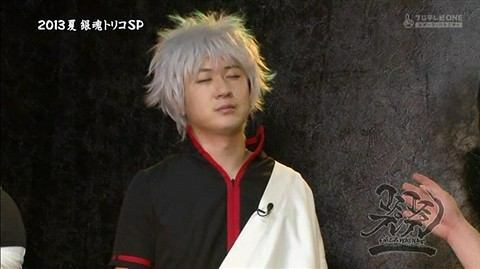 Apparently Sugita experienced the Charlie Chaplin effect.